Mumbai, Jan 22: Days after the raging controversy over the comments made by Indian cricketer Hardik Pandya and KL Rahul, legendary batsman and former India skipper Rahul Dravid said that one should not blow up the matter out of proposition. In his recent interaction with The Hindu, the wall opined that mistakes are bound to happen but over-reaction against the two young players should be avoided. Emphasizing on the need for proper education and training, Dravid asked youngsters to be more responsible and advised not to blame system openly. He said that the dressing room environment plays an important role in shaping the minds of the players. 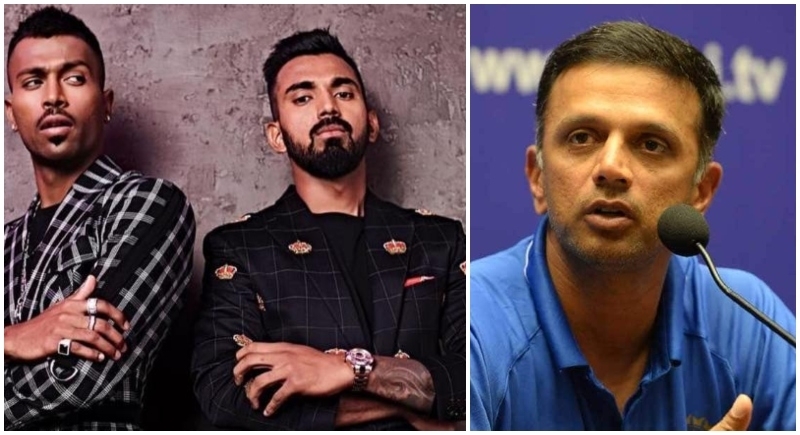 Hardik Pandya and KL Rahul came under fire for making derogatory comments during a talk show Koffee with Karan. The Committee of Administrators who is probing the matter will take the final call on the controversial statements made by the duos.